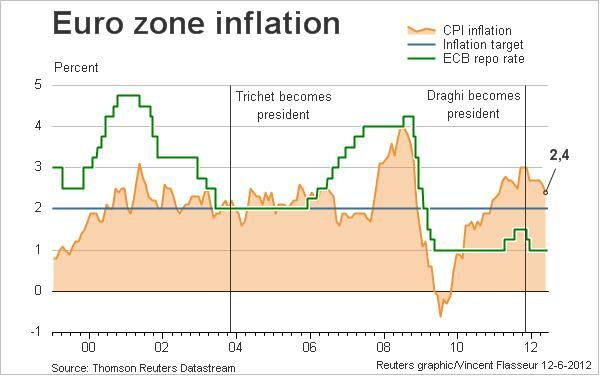 This chart from Reuters links the Euro Zone inflation with the ECB interest rate from the start of the Euro until May 2012. In May the Euro Zone inflation was at a 15-month low. The interest rate has been at record low rates since the recession in 2009.